China’s rapid growth isn’t all about wacky buildings: there are also millions of people whose lives have been uprooted in the name of progress. 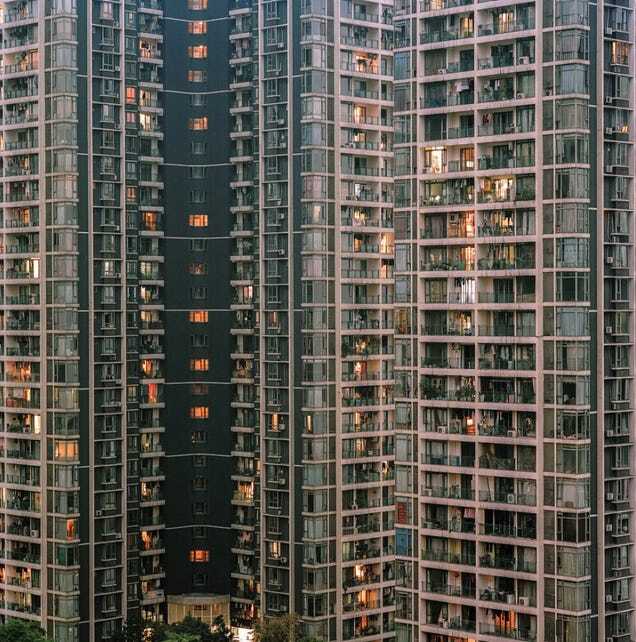 Many of them have moved to the new megacity of Chongqing, where photographer Tim Franco has managed to capture its hyper-vertical, accelerated brand of urbanism, and the odd juxtapositions it creates with the humans who live there. Franco, who is a photographer living in Shanghai, has been making trips to Chongqing since 2009. He has collected a gallery of the images on his website and has published a book of the photographs which can be pre-ordered now. 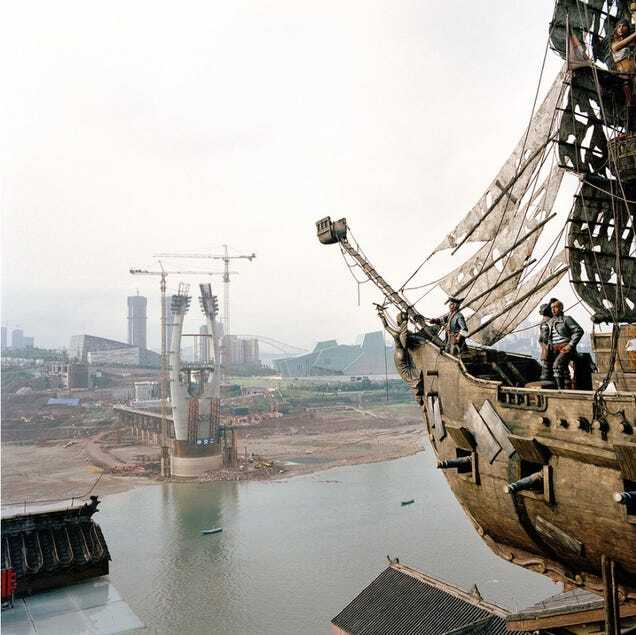 On paper, Chongqing’s population is eight million, which is not as large as China’s other fast-growing megacity of Shenzhen; the large number of undocumented workers might make it closer to 30 million, according to Quartz. Last year, the city grew by 4,000 each week. 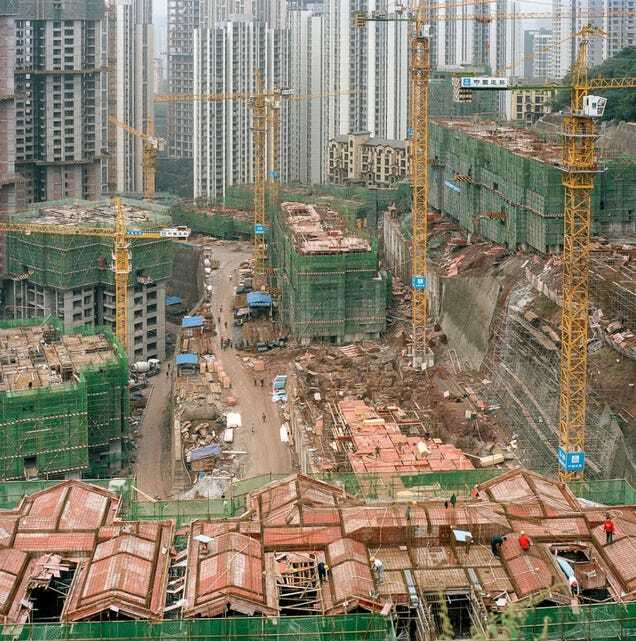 Many of the people of Chongqing were displaced by construction on the Three Gorges Dam, the largest infrastructure project in the world, which is basically rerouting the Yangtze River to get water to China’s other fastest-growing megacities. Some of these new residents took jobs at local manufacturing plants and moved into instant skyscrapers, as other residents continue to farm the land between them as they have for centuries. The building boom is unprecedented. 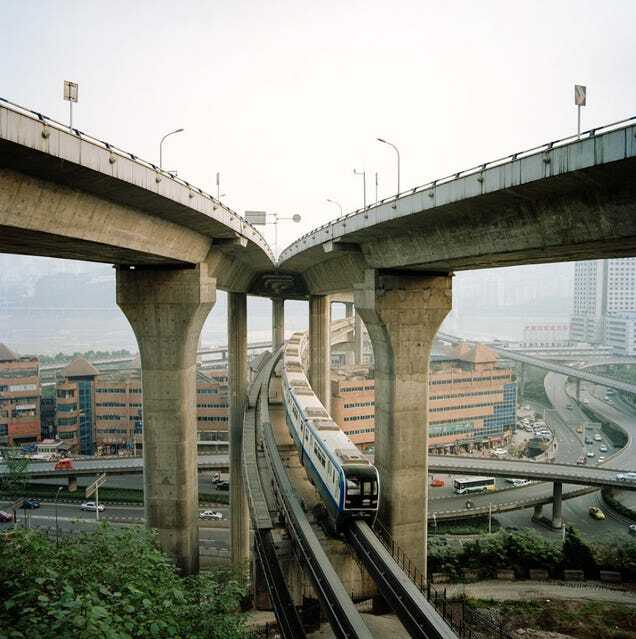 According to Quartz’s Richard Macauley, Chongqing is home to some of the largest bridges in the world, the scale of which is needed simply to get the people from one side of the city to another.